9 Comments As an Amazon Associate I earn from qualifying purchases. I know! I’ve been really into fall leaf crafts lately. That because, well…it’s fall. I guess I’m inspired by the beauty and colors of the season. 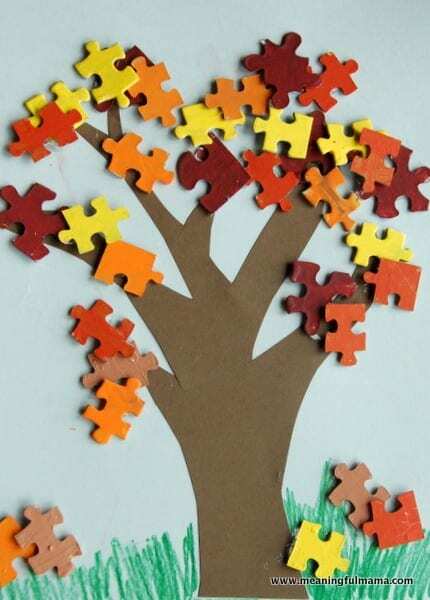 I was also inspired by Rachel at I Heart Crafty Things and her fun puzzle piece fall craft. I was doing it from memory, but I love her version too – with the pieces mixed with colors. We just did piles of separate fall colors. 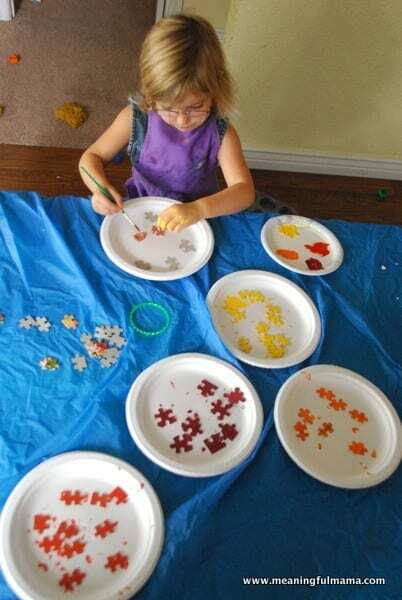 Kenzie set to work painting the puzzle pieces a variety of fall shades. 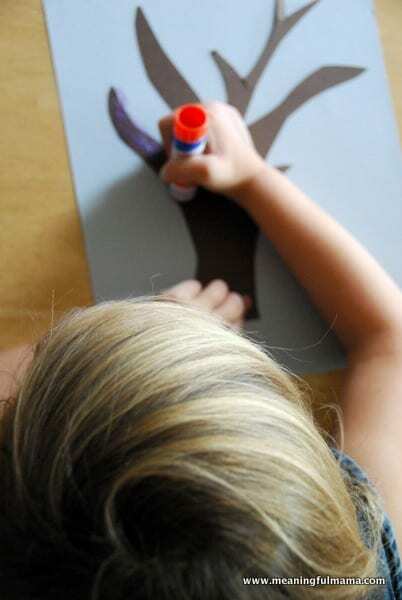 I cut out the shape of a tree, and she glued it down. I used the hot glue gun to glue on all the pieces. She drew on the grass, and we were done.